I was looking through iPhoto and kept stopping on cute photos of Pixie and saying "AWW!" out loud.. They aren't all recent, but I figured it would make a good post for the blog! Here are a few of my favs. When I'm at the computer she is usually in my lap. 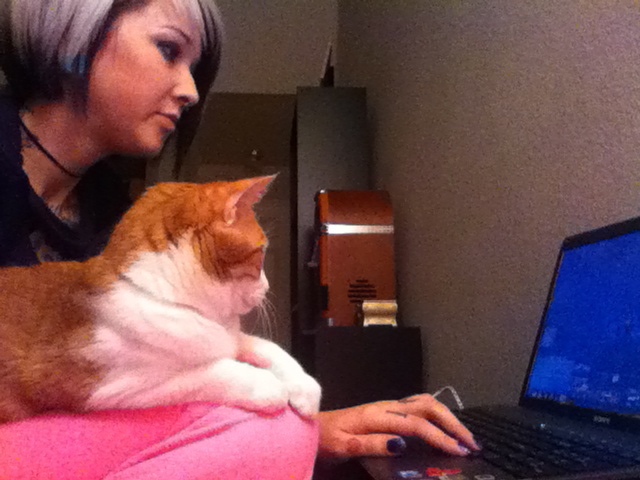 She enjoys watching me play Everquest II. 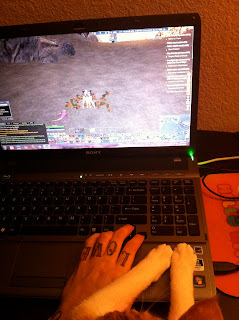 Does your cat help you with spellcheck or gaming tips? Great pictures of Pixie! I love that she sits and watches (and helps) you play games. My cat usually bites my wrist or my ankles when I'm playing games.